December is here, which means it is time to think about putting the Christmas tree up and decorating the house. 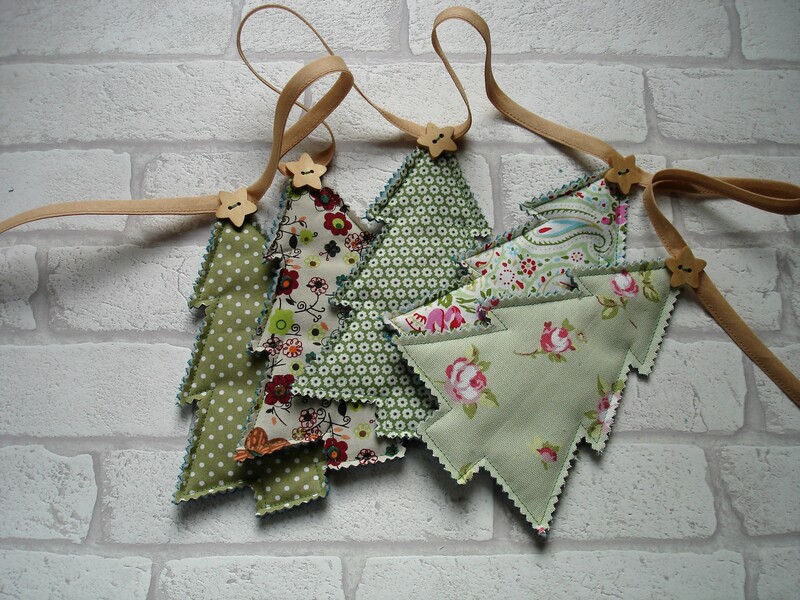 Several years ago I wanted to make some bunting to decorate our staircase, but didn’t want regular triangular bunting so I made some in the shape of Christmas trees. Each year they come out and I love them, and as this is the first Christmas that I have been writing my blog I thought I would share with you how to make them. They are very quick and easy to make. If you can sew a straight line on a machine then you are good to go! Firstly cut out your Christmas tree template. Roughly cut out a scrap of pretty fabric, some wadding and backing fabric just a little bigger than the size of the tree. Layer them so that the backing fabric is on the bottom, the wadding is in the middle and the pretty fabric is on the top. Finally place your Christmas tree template on the top and pin in place. Take your fabric to the machine and carefully sew around the edge of the tree, sewing as close to the paper edge of the template as you can. 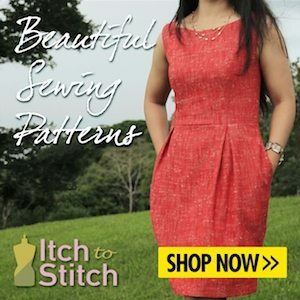 This just requires a straight stitch on the machine – when you change direction remember to leave your needle in the down position so that your fabric doesn’t slip. Unpin and remove the template. Your fabric should now look like this. Now you need to cut around the outside edge of the stitching using pinking shears or regular fabric scissors. I use pinking shears because I like the effect this gives. Take care not to accidentally snip your stitches. Repeat this with as many trees as you like! 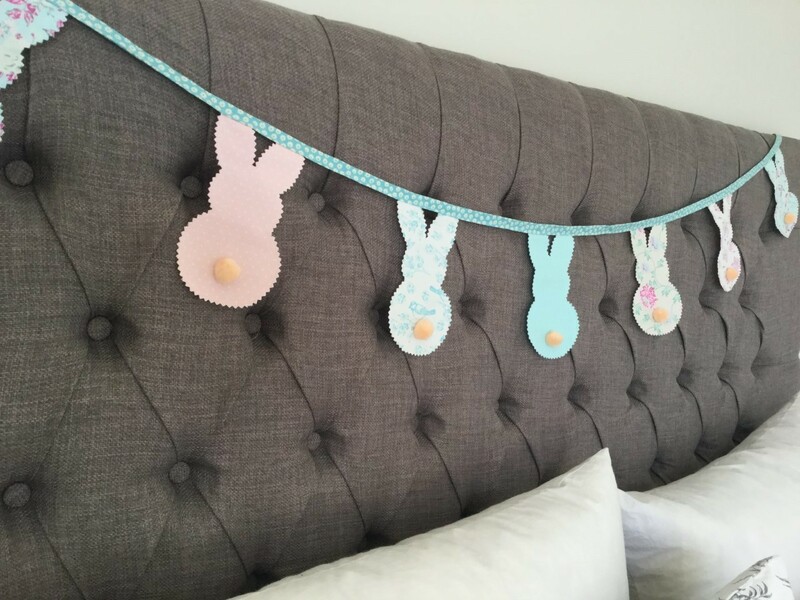 If you haven’t already, decide on the length of the bunting you want and cut your tape or binding to this length. I am using bias binding to hang my trees from so I folded it in half along its length and machined it together, encasing the tops of the trees inside the tape at regular intervals as I went. I also sewed little loops at each end to make hanging easier. If you are using a thicker tape that doesn’t require folding in half then simply attach your trees with a few hand stitches through the top of the trees. When all your trees are attached to the tape finish them off by sewing a pretty star shaped button to the top.Perfect! You’re all done! Now all you need to do is hang your garland and enjoy it! You could embellish your trees with buttons, sequins or ric rac if you wish – let your imagination go wild! 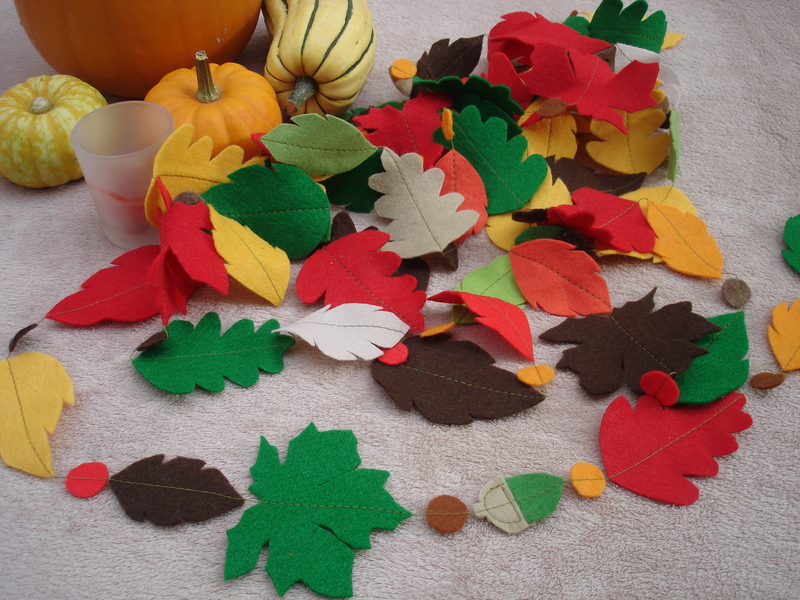 I hope you have enjoyed this and will have a go at making them yourself. Let me know how you get on, I would love to hear from you.